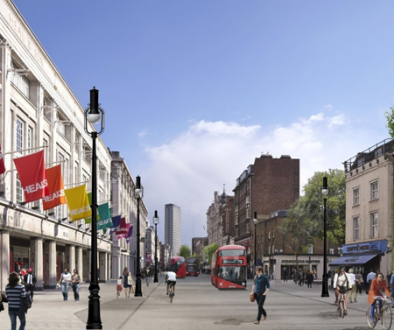 Camden Council has selected Eurovia as its main contractor for the West End Project (WEP) – a £35 million plan to transform the Tottenham Court Road area. Work on the West End Project will begin early this year and is expected to be complete by the end of 2019. The West End Project will address issues which have affected the area for some time, including traffic congestion, poor air quality and safety, narrow and cluttered pavements and a lack of public space. The one-way system operating on Tottenham Court Road, Gower Street, Bloomsbury Street and Charing Cross Road, which increases journey times, will be removed and replaced with two-way streets and some protected cycle lanes. 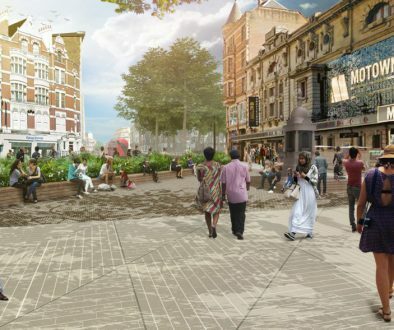 A new public space in front of Shaftesbury Theatre a park at Alfred Place and a new plaza next to Centre Point and the new Crossrail Station will also take pressure off busy pavements and provide places for people to meet, shop and relax. 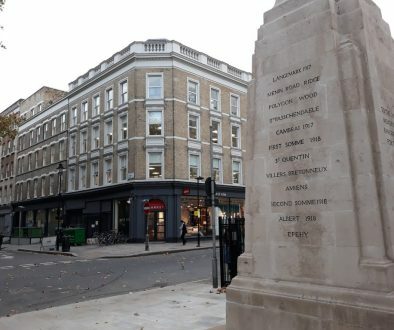 The project was approved in 2015 and Camden Council has worked closely with partners Transport for London, Crossrail, City of Westminster Council, BeeMidtown, The Fitzrovia Partnership and London First to get to this stage.